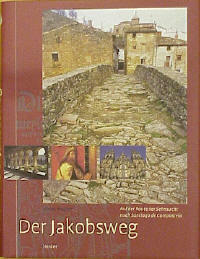 This evocative and lavishly illustrated volume about the Way of St. James from the French border to Santiago de Compostela and the people who travelled it and still do, captures the special spirit of “El Camino” in an insightful and informative text written by a recognised expert. The author offers a successful presentation of the most important historical and present-day aspects in an informative and inviting style. The eye-catching wealth of pictures provides further insight and illustrates each topic.